Rogers Memorial Hospital–Brown Deer, Wisconsin, celebrated its completed renovation in April of this year. 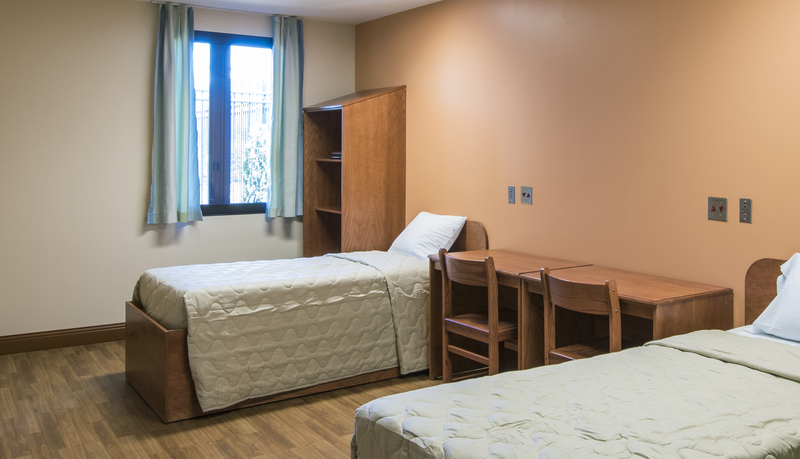 The 50,000-square-foot, 56-bed facility now offers inpatient care for children and adults diagnosed with anxiety, depression, addiction and other behavioral care needs. As part of the total renovation, the facility’s old windows were updated with Wausau Window and Wall Systems’ SEAL™ behavioral care windows. Engineered for high-performance in health care settings, these windows provide a safe, comfortable interior; an attractive appearance; and natural light and outside views that connect the patients with their surroundings. Brown Deer is the first Rogers facility to incorporate biophilia into its design. Biophilia design recognizes the way humans have an emotional connection to nature and natural forms from Earth, and aids in a patient’s healing process. “We know that environment is an important part of getting well. We wanted to bring the outdoors and elements of nature inside as much as possible,” said Jim Kubicek, vice president of operations for Rogers Memorial Hospital–Brown Deer. Working closely with general contractor VJS Construction Services, glazing contractor Simmons Building Products installed 70 of Wausau’s SEAL 2187-DT interior accessory windows. SEAL is an acronym for sound, energy, air and light, representing the improved energy efficiency and acoustic comfort they offer. For Rogers Memorial Hospital–Brown Deer, not only do the SEAL windows meet human impact drop-testing per AAMA 501.8-12, they also use an overlap sash design, rather than a flush sash, to make them more resistant to patient tampering and prying. 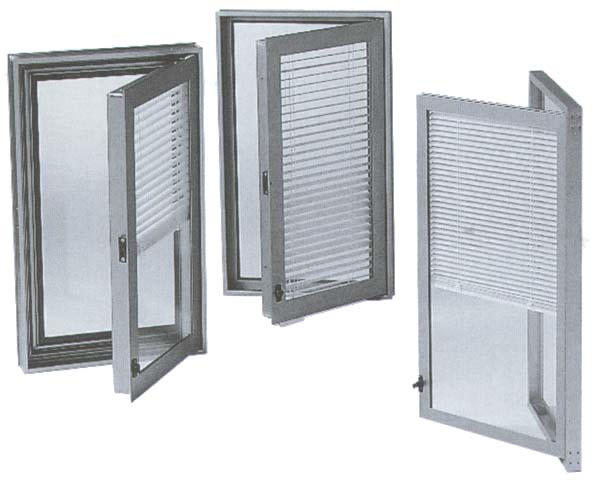 Integral between-glass blinds minimize maintenance, reduce solar heat gain, and offer privacy, without the potential dangers of exposed cords and slats. Contributing to health care facilities’ environmental goals, all of Wausau's SEAL window products are available with high recycled aluminum content. Linetec finished the windows’ frames with a warm Dark Bronze anodize finish. This extremely durable coating is easy to clean and resistant to marring in even the most demanding circumstances. Meeting the growing needs of the underserved area, Roger Memorial Hospital–Brown Deer’s renovated facility now houses therapy rooms, a gym, training and educational spaces, admitting and registration areas, a kitchen and cafeterias, plus staff and administration offices. “The updated facility not only provides more comfortable care for a larger number of inpatient children and adults, but also does so with a more appealing aesthetic than the original hospital,” observed Wausau’s Breidel. “The hospital facility has truly been transformed,” praised Kubicek at Brown Deer’s grand opening. Along with the renovated Brown Deer location, Rogers also has specialty outpatient treatment in Madison, Appleton and Kenosha, Wisconsin, and nationally in Tampa, Florida; Nashville, Tennessee; and Skokie, Illinois, as well as hospital campuses in West Allis and Oconomowoc, Wisconsin. When the Oconomowoc facility underwent its renovation in 2014, TWP Architecture, VJS Construction, Simmons Building Products, and Wausau also worked together to provide more than 300 high-performance replacement windows. “We look forward to the next opportunity to work together,” concluded Breidel.